The VCMA9 is a highly integrated and robust Versatile Computer Module in a small form factor. The VCMA9 is based around a microcontoller using the sophisticated ARM920T core and additional implements a complete set of common system peripherals. Besides these features the VCMA9 offers Ethernet, CAN and DAC. Main memory up to 128MB SDRAM are available onboard. For storage media soldered NAND-Flash is used. Additional expansions can be made through the expansion bus connector. All this together, makes this single board computer extremely flexible and versatile. The VCMA9 represents a unique solution for today's demanding industrial needs. It has the ability to be operated under extreme conditions without the need of fans. Depopulated versions are available and can be tailored to customer requirements. are (among many others) the extreme low power consumption (<1.5W). 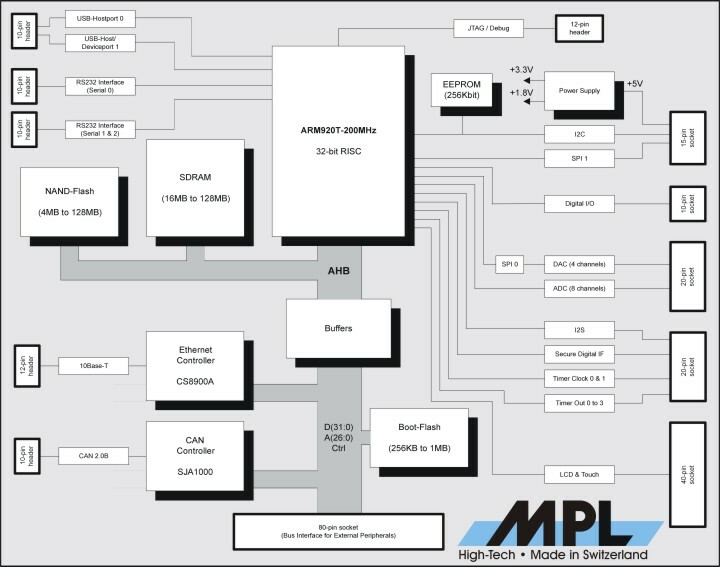 An ARM9-CPU based solution with soldered SDRAM, NAND-Flash as mass storage device and a complete set of peripherals like 3 serial ports, USB, LCD, Ethernet, CAN, and many more. An open source bootloader and LINUX board support package are available as well as support & consulting. 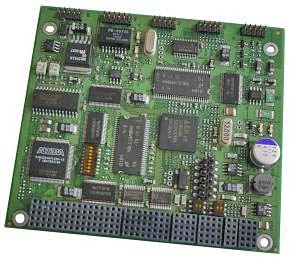 These features make the VCMA9 to the ideal solution for any application where a none x86 architecture is preferred and a high quality, small size, low power expandable Industrial Single Board Computer is needed. The product can be used in applications like in medicine, transportation systems, telecom or any other industrial needs. The following operating systems and board support packages are available for the VCMA9 upon request. Please understand that application specific engineering and modifications will have to be agreed upon. We will install customer specific operating systems and applications upon request.